So what is it about our domestic cleaning in Chiswick that people love so much? For starters, London Domestic Cleaners is a company that focuses greatly on customer satisfaction. This means that we will do everything possible to clean your home per your specifications and requirements. 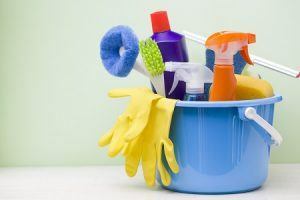 As a result, you will feel like you have made the right choice to book our domestic cleaning service. You will know by the marvelously cleaned rooms and the great feeling you get upon entering your home that has just been cleaned by our experts. Never leave this task to amateurs, as the result will not be a pleasing one. Instead, contact 020 3322 8143 and acquire the aid of our professional domestic cleaners! You will not regret it! How can you take advantage of our company? The first thing you have to do is browse our service portfolio and pick a service that is right for you. You will find that our expertise regarding different cleaning chores is great. Once you have seen just how professional and quick our domestic cleaners are, you will never even consider another cleaning company in Chiswick. Of course, in order for this to happen, you need to first contact 020 3322 8143 and state your request. It is definitely wise to do so now so that you can have us take care of this job for you in the future as well! What makes Chiswick an interesting area? One of the districts in the west part of London is Chiswick. A Large part of it is in the London Borough of Hounslow. However, some parts of it, like Acton Green, most of Bedford Park and Chiswick Park tube station are in the London Borough of Ealing. Chiswick is known for several of the most notable villas in the UK capital. One such is Hogarth’s House, where the famous artist William Hogarth lived in the 18th century. Another notable villa is Chiswick House, thought to be among the finest in the UK. Some listed public houses are also located in the area. More notable examples include: Mawson Arms, Old Packhorse, George and Devonshire, The Tabard. Visitor can gain access to the area of Chiswick through the North Circular Road, the M4 motorway and South Circular road. In addition, there are 12 bus routes through the area, as well as four London Underground stations on the District line. Outstanding domestic cleaning in Chiswick is available now at very affordable prices – book with Top London Domestic Cleaners today by calling 020 3322 8143.